This rosé wine is sheer poetry in a bottle. 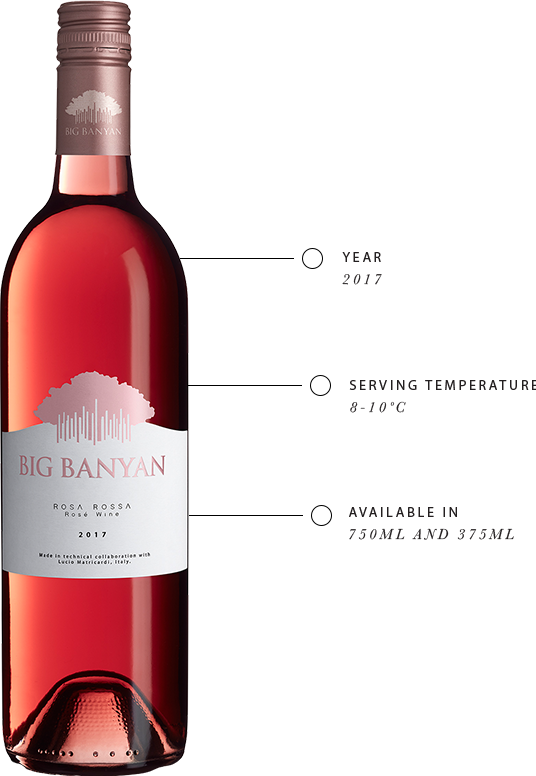 The charming blush of the wine inspired us to name it ‘Rosa Rossa’, which means pink rose in Italian. Feel alive with the burst of berries and cherries. This wine has a delightful blush that is deep cherry red. Light bodied and smooth, this wine is perfect for a summer evening.